She Worships: New Year, New Face! Welcome to the new and improved face of She Worships! As my little online ministry has grown I’ve had a number of friends who believe in my writing and offered to help me take my blog to the next level. I’m pretty excited about what they came up with! In particular, I hope you’ll find that this new blog look reflects the voice of my writing, as well as my personality: intellectual and reflective, but also quirky and fun. This blog is really about my on-going journey as a follower of Jesus. Sometimes it’s contemplative, and sometimes I’m looking for people who can laugh with me at myself. And as the title implies, this blog is also for women, which is why I decided to ditch the gothic black and go for something a little more colorful! 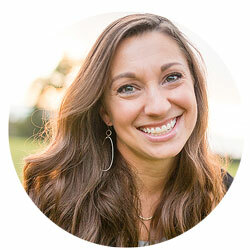 The other day I read a great quote by Elisabeth Elliot in which she said, “The fact that I am a woman does not make me a different kind of Christian, but the fact that I am a Christian does make me a different kind of woman.” In a lot of ways her words incapsulate what this blog is about. It’s not just about being a woman, but about being a different kind of woman. A woman who follows Christ. I hope you will join me as I continue to learn just what in the world that looks like! Special thanks to Joe Jones and his team at Epic Leadership. They did a really great job honing in on the voice of my blog and designing a look that reflects it. You can visit Joe’s blog at iagreewithjoe.com or you can contact Epic LEadership through their website. I’ll be out of the country for the next week so in honor of my new blog launch I’ve decided to do a week of “Best of She Worships” posts. These are the posts that I just keep hearing about over and over again, so I hope you enjoy them! Also, this semester I will be teaching my church’s large women’s Bible study on Philippians so I will hopefully be posting lots of audio on my blog in the near future. Thanks to all of you who have been faithful readers over the past few years years (both my male AND female readers)! I think about you all every day and have been blessed to be a part of your lives. I am so grateful that God has allowed me to have this ministry and I pray He will continue to provide me with the wisdom and the right words to carry it on. p.s. Because this blog design is new, it will be a work in progress over the next week or two as we iron out the details! Sharon – I love the new look, but I can’t seem to find your list of tags/categories any more. That was one of the most useful features for me before, since it allowed me to immediately pull up all the posts on a given topic. Is it still around here somewhere and I’ve just missed it? Thanks for the feedback, Cat! that is definitely one of the glitches we are working on, but that section will ultimately end up in the “Archives” section. Please feel free to offer any thoughts on the set-up of the blog–anything I can do to improve it or help you all navigate. I’d love your thoughts! I absolutely love the new look! Have a great time in Dubai and I pray that God will give you many opportunities to share Christ’s Love in that place! I love the face lift! Keep up the good work and thought provoking entries. I enjoy reading them and have passed your site to friends. 🙂 Have a nice weekend! i like your new design! the only thing is your blog title font/color is a little drab and could be spiced up/prettier. and it would be fun if when you rolled over the bird it made a chirping sound. hope these suggestions were helpful. WOW. She Worships just got A LOT more girlie. I will continue to follow on my blog reader so I don’t feel like I am awkwardly walking through Bed Bath and Beyond.